Safety lock wire, or locking wire, is a physical locking device that holds nuts, bolts, or other fasteners in place and counteracts the forces, such as vibration, that are acting upon a connecting point. Used primarily in aerospace and automotive applications (lots of vibration there! ), it consist of a soft stainless steel or high nickel alloy that can be wound and tightened in an application while retaining its strength to withstand the stress and strain of the environment it’s in. That’s the basics, but what about the particulars that lead to a range of grades, sizes, and colors? First, there are specifications that provide guidance on what to look for in critical applications. That specification is NASM 20995, and sets basic standards for aerospace applications of safety lock wire. You should always choose products with this certification. Technically, you don’t have to for many applications, but your using this for safety (right? ), so don’t bargain shop when you’re looking for performance. 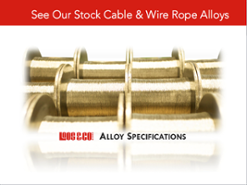 Traditional safety locking wire was made in a variety of alloys, such as Monel, Inconel, stainless steel, carbon steel, aluminum and even copper. Those items are all available, but it is much more common to find 304 or 316 stainless, Monel, or Inconel used in high risk applications. These alloys provide the best balance of strength and corrosion resistance, especially at higher temperatures across a variety of environments. 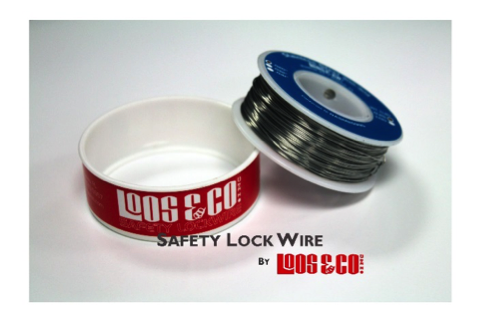 Standard sizes of safety locking wire range for .015” to as large as .091”. The most common sizes used range from .020” to .040”, and cover the most common applications. The size required is dictate by the forces that are anticipated on the material. And as I’m sure you’ve guessed, the higher the force, the larger the wire required. 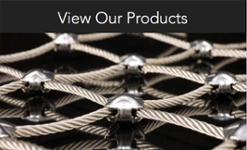 Most wire companies can provide a custom size should it be required, but truth be told most engineers would be best served by picking a standard, available size to work with in their design. These “stock” items tend to be available in a range of packages, from bulks spools of one, five, and 10 pounds, to spools and cans between ¼ and one pound each. In footage, that works out to between 250 and 1,000 feet per pound container, with the larger material having less feet per pound of material. This section looks at two aspects of color related to safety lock wire. First, depending on your application, safety lock wire can be provided in a natural finish (shiny, silver) or an oxidized finish (blackened). This will add a little different hue to the finished product if that’s what you’re looking for. The second aspect is the color of the can you can purchase. 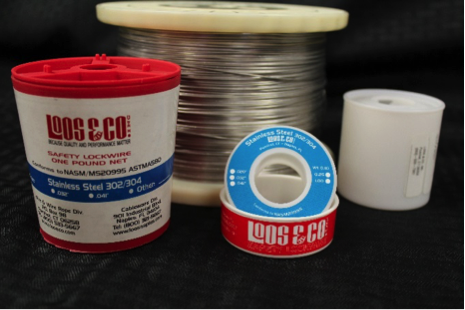 There are traditional colors associated with each grade or alloy of material – and the cans you purchase the wire in often reflect that. However, if you ask me, you always want to look for the Red can. 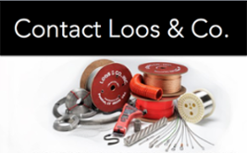 You can be certain that the safety lock wire in that can meets your requirements, because at Loos and company, what you spec is what you get. And as I said in the beginning of this article, this is safety lock wire. Do you really want to bargain shop for a safety product? I didn’t think so. You can trust loos and company’s quality and performance. You can Trust Red.